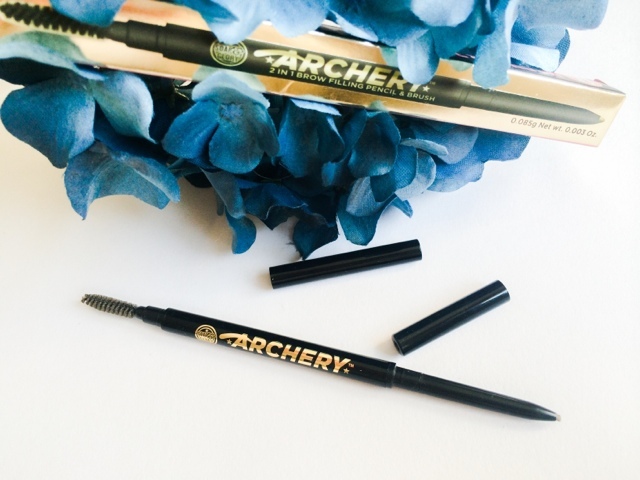 If you read my review of the original Archery Brow Tint and Pencil you will know I was a big fan of the felt tip side. If you're unfamiliar the original Brow Archery - it was a dual ended pencil with one side housing a felt tip and the other a conventional wax pencil. One aspect the put me off the original was the pencil side, I found it a little hard to work with. The nib was a little too thick and chunky for my brows (as you can see above are rather thin and sparse). 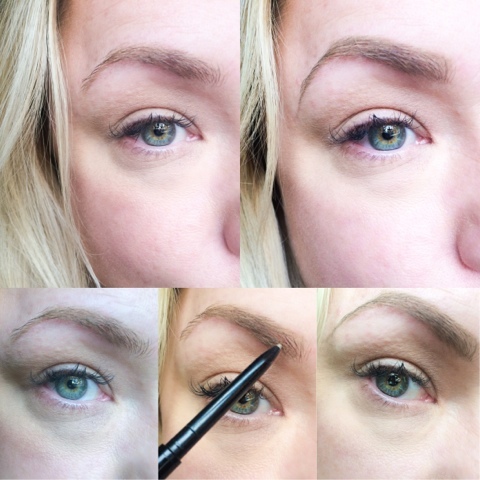 So when I saw they had released a new brow pencil to run along side its predecessor I was really excited. The nib looked to be a lot thinner, which would in theory make the application a lot easier delivering a perfectly filled-in brow in no time. The shade I got was Blonde-Shell and it does a good job at matching my colouring as the yellow undertones mean the colour doesn't come off too warm on me, which is always a problem when looking for blonde eyebrow product. The one down side is there are only two shades, this one and a brown (Hot Chocolate), which means anyone not falling in this spectrum is going to struggle to get a good match. The nib is indeed a lot thinner and can be compared to the Mac Eyebrow pencils and the Anastasia Brow Wiz. It is slightly waxy and the product has a tendency to apply a little patchy at first, but once warmed up with the heat from your body it does a fab job at mimicking fine hairs and filling in sparse areas. I like to use this along side my powder and gel brow products to tidy up the edges as it can be a long process if used alone. All in all I think Soap and Glory did a good job with this. Many people didn't like the original because of the felt tip end ( I must have been the only one that like it lol) and said it dried out too quickly so if that's the case with you you'll probably get on really well with this! Have you tried the new Archery yet? 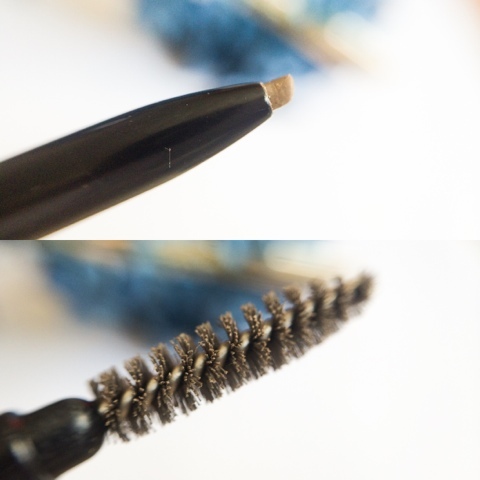 I havent used an eyebrow pencil for so long, but ive been hearing so many good things of this! I may have to try it for mysefl!